Even if you aren’t a Beatles fan, Sgt. Pepper Lonely Hearts Club Band is an iconic album. From the pop art album cover created by Peter Blake to the experimental tracks that took 129 days to record, the album changed music more than any other. The album was created after a time of Beatlemania where it became almost impossible for The Beatles to perform live. This led the band to rebrand, moving themselves away from the teenage boy band image they had created and start to experiment with instruments and sounds since they were no longer going to perform live. None of the tracks on this album resemble any of their earlier material. The album starts with a full orchestral version of Sgt. 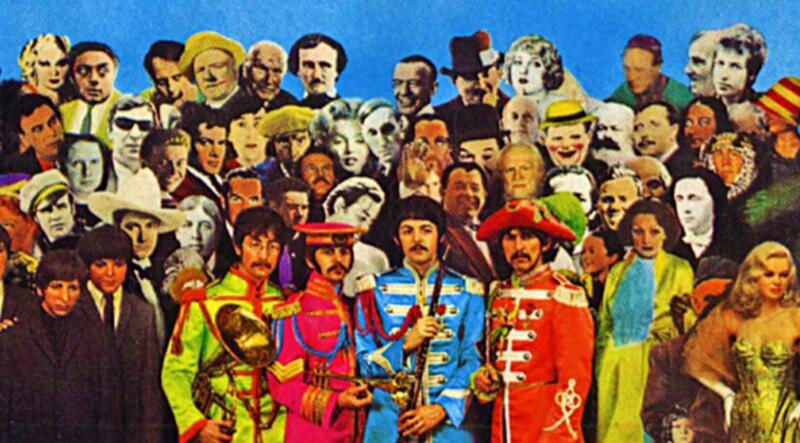 Pepper’s Lonely Hearts Club Band, which definitely sets the tone of the album as something unusual. One of the most unique songs on the album has to be ‘Lucy in the Sky with Diamonds’. Whether John Lennon’s writing was influenced by LSD or Lewis Carroll’s ‘Alice in Wonderland’ is up for debate, but the arrangement is without a doubt innovative. The mixture of Eastern instruments with Western sounds gives the song what has become the quintessential Beatles sound. On the other hand, the song ‘A Day in the Life’ has a classic British feel to it; ‘A Day in the Life’ is basically two songs in one, you get the slow Lennon intro followed by an upbeat blues feature from McCartney before slipping back into Lennon’s song again. The transitions between the songs work flawlessly to fade into such different styles without causing a shock. I could go on about every song on this album for days, it is a work of art not just a some music to put on in the background. It is definitely worth a listen. The most important thing about this album isn’t the individual tracks and how they were created, it is the movement they created. Sgt. Pepper’s Lonely Hearts Club Band is an album that personifies the summer of love. The whole idea of moving away from the more rigid views of society etiquette and what was expected of the younger generation can be heard throughout this album as The Beatles twisted was was expected not only of them as a group but twisted what the older generations thought music should be like. Sgt. Pepper’s Lonely Hearts Club Band is a legendary album that needs to be listened to at least once in your life.